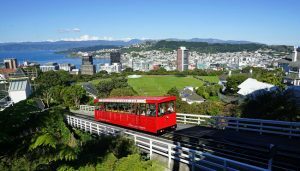 At Cashburst we specialise in providing hard working Kiwis living in Wellington with fast cash loans. Managing your finances can be a struggle. Some weeks, unexpected costs can arise and it can be difficult to come up with the cash you need. Get a quick cash loan to cover your personal expenses. If you are living in Wellington and need a cash loan we could provide you with one. Our loans are simple, fast and designed to help bridge any financial gaps you may have. Being short of cash is one of life’s biggest stresses. That’s why we have made our cash loans in Wellington as quick and easy as possible. Simply head to our website and fill out our quick application form online. You can send your required documents via email or fax and we will contact you usually within the hour. Why choose Cashburst for a Wellington cash loan? Cashburst is one of the most trusted and reputable lenders in Wellington. In accordance with responsible lending, we ensure the affordability of our loans and provide manageable repayments for our customers with no hidden costs. Our repayments are flexible to suit your individual needs and if you wish to repay your loan quicker you will not be charged any early repayment fees. Our loans are flexible even for those with bad credit. If you live in Wellington and have a bad credit history we may be able to help when others can’t. Our simple eligibility means we assess your application based on your current ability to repay your loan, leaving your bad credit history in the past! At cashburst we keep it simple- If you meet the following eligibility criteria we could provide you with a fast cash loan. No matter where you are living in Wellington, apply online and we could provide you with the cash you need. We are able to process your loan if you are living in; Aro Valley, Berhampore, Breaker Bay, Brooklyn, Churton Park, Crofton Downs, Glenside, Grenada North, Happy Valley, Hataitai, Horokiwi, Houghton Bay, Island Bay, Johnsonville, Kaiwharawhara, Karaka Bays, Karori, Kelburn, Khandallah, Kilbirnie, Linden, Lyall Bay, Makara, Miramar, Mornington, Mount Cook, Mount Victoria, Newlands, Newtown, Ngaio, Ngauranga, Northland, Ohariu, Oriental Bay, Owhiro Bay, Paparangi, Redwood, Rongotai, Roseneath, Seatoun, Shelly Bay, Strathmore Park, Tawa, Te Aro, Thorndon, Vogeltown, Wadestown, Wellington Central, Wilton, Worser Bay or any other Wellington suburb.